5FM announces the launch of its search for 5Squad – a team of five talented presenters from around the country who will become the station’s ambassadors in their various provinces. Each new ambassador will feature on a show one day a week from 01:00 to 04:00 from Monday to Friday. They will report live from events in the province, work as on-the-ground ambassadors and offer up gig guides to events. 5FM is calling on individuals between the ages of 18 to 25 with radio experience and active social media accounts to send in a short demo, bios and social media handles to the station. Over the next few weeks, 5FM will ‘whittle down’ the competition until there is a ‘top 10’. These individuals will then head to Johannesburg for a boot camp mentorship week. It is here that the final 10 will go through an intense training week covering all bases of radio before the final five are revealed. "5Squad is just another way in which the station enforces the ethos of growing and nurturing new talent within the industry. 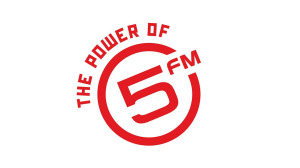 As a national radio station, it’s imperative we have an ear to the ground in different provinces, and with these ambassadors, 5FM will enjoy greater interaction with listeners from around the country," says Liesl Hefkie, acting station manager of 5FM.